Eye Love Wednesday - pencil shadows from GOSH, Maybelline and Avon! 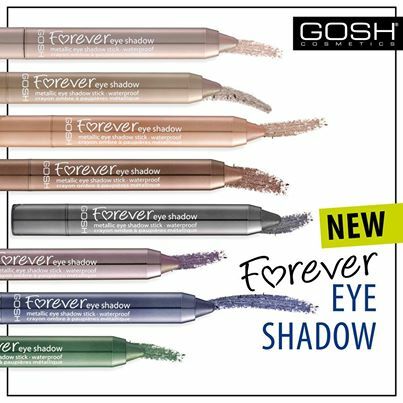 GOSH Forever Eye Shadow Stick - $14 - in 8 shades: Silver Rose, Beige, Light Copper, Brown, Grey, Plum, Blue and Green - a creamy, velvety soft eye shadow stick that applies and blends like a dream, delivering pure colour that doesn't rub off thanks to a special silicone filming polymer and amino acids. With an ultra-smooth and non-oily finish that lasts for hours and a water-repellent formula that is also preservative and paraben free. 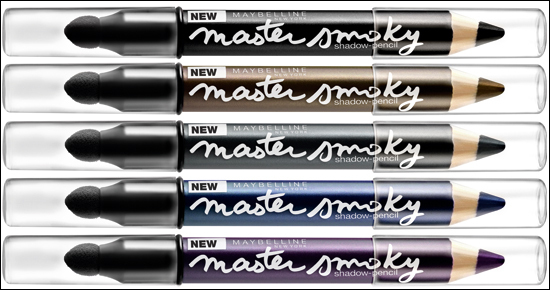 Maybelline Master Smoky Longwearing Shadow-Pencil - $9.99 - in 5 rich shades: Smoky Black, Smoky Chocolate, Smoky Navy, Smoky Violet and Smoky Grey - for a smoky eye look in one easy step - a chubby, dual-purpose pencil with one end that delivers rich, waterproof pigment to lids, while the other end offers a smudging tool to perfectly blend colour. 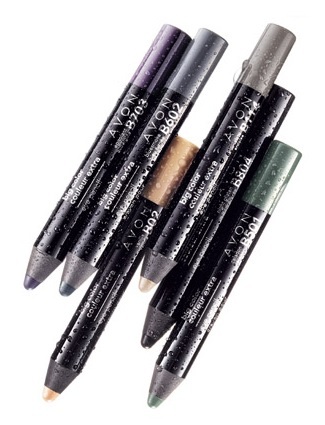 Avon Big Color Eye Pencil - $9.99 - in 7 shades: Vanilla, Night Glisten, Aquamarine, Smoky Sage, Egg Plant, Perfect Peach and Lavender Mist - with a waterproof formula that offers fast, easy, glide-on colour that lasts for hours and leaves you with seductive and mesmerizing eyes.